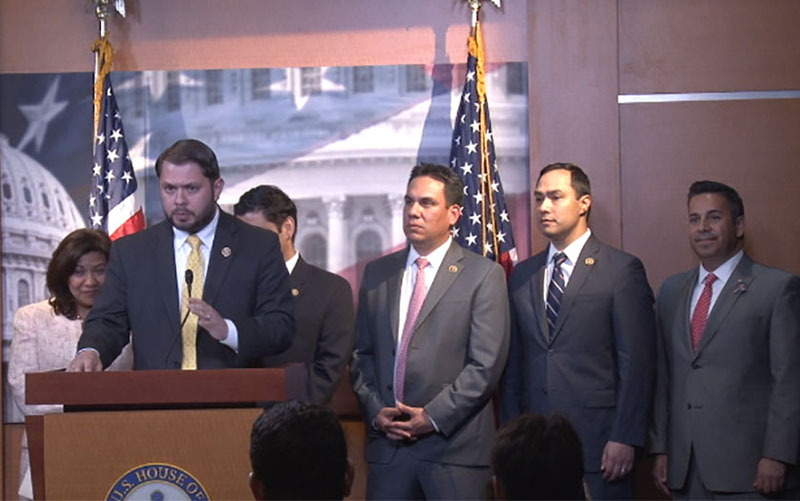 WASHINGTON – Angry members of the Congressional Hispanic Caucus accused House Republicans on Wednesday of “compromising national security” with a proposal that would ban DREAMers from serving in the military. The proposal, offered as an amendment to the Defense Department’s budget bill, was particularly upsetting to opponents as it came on the fourth anniversary of the administration’s DACA program – Deferred Action for Childhood Arrivals. They called the measure just another ploy to “attack the immigrant community” sparked by the rhetoric of likely Republican presidential nominee Donald Trump. 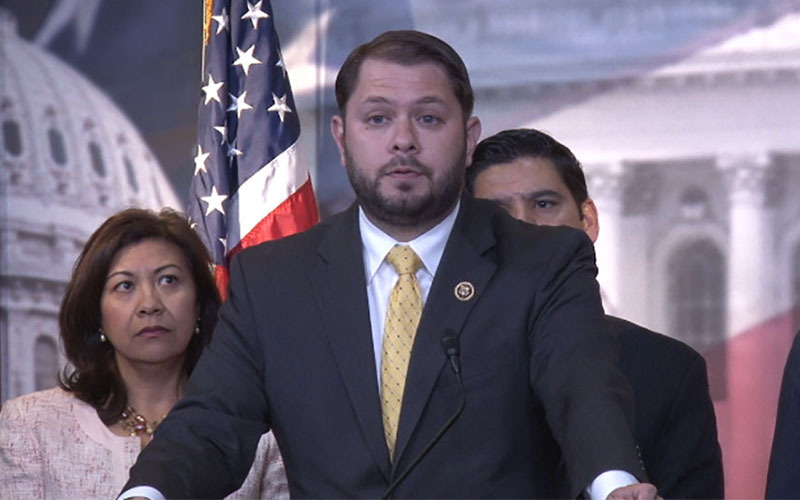 “On the fourth anniversary of DACA, Trump’s friends are attacking DREAMers who not only want to serve our country but want to serve it in uniform,” said Rep. Ruben Gallego, D-Phoenix. But the amendment’s sponsor, Rep. Paul Gosar, R-Prescott, said the prohibition is needed to stop what he called the administration’s “backdoor amnesty program” for immigrants in this country illegally. President Barack Obama in 2012 unveiled the DACA program, which allowed people who were brought to this country illegally as children to apply for a deferral of any deportation action, under certain circumstances. In addition to meeting age guidelines, applicants have to have been continually in the U.S. for a number of years with no serious criminal convictions, and they have to be in school, have graduated or have been honorably discharged from the military. People meeting those criteria could pay a $465 fee to apply for permission to stay in the U.S. for two years without fear of deportation. The two-year deferral could be renewed once it expired. Gosar said his amendment would protect MAVNI- Military Accessions Vital to the National Interest – a Pentagon program aimed at recruiting legal noncitizens with skills that are highly sought-after, like those with unique language skills or those who are licensed health care professionals. But Democrats accused the amendment’s supporters of putting partisan politics ahead of the nation’s interests. “Soon on the House floor, we’re going to see yet again a clear example of how House Republicans are the party of Trump when they offer divisive amendments that attack DREAMers,” said Rep. Ben Ray Lujÿn, D-New Mexico, at a news conference before the debate on the bill. 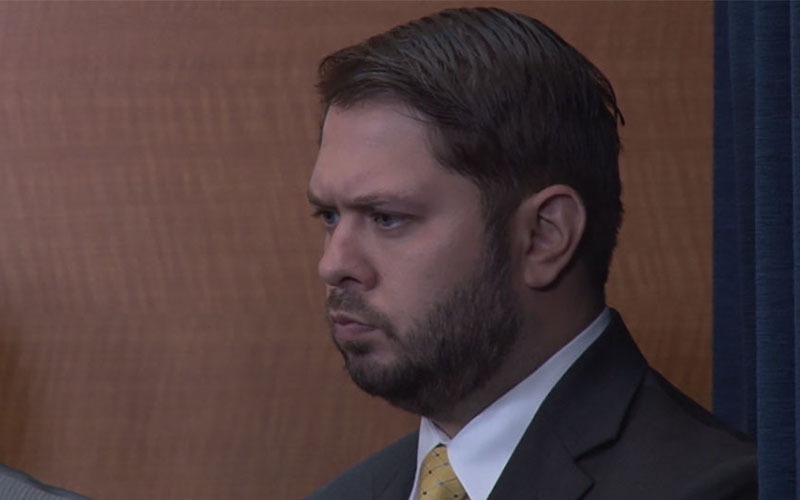 Gallego said that as a Marine veteran, he takes this amendment personally.